EMDR (Eye Movement Desensitization Reprocessing) is a psychotherapy treatment model developed by Francine Shapiro in 1987. EMDR therapy has been proven as an effective treatment model for PTSD, anxiety disorders, depression, and other emotional disorders and wounds. EMDR is a recommended form of therapy by the World Health Organization, the American Psychological Association, the Department of Defense, and the Veterans Administration. Find out more about the evidence based empirical research on EMDR at EMDRIA.ORG. I am a Certified EMDR Therapist with the EMDR International Association. I provide EMDR therapy in my psychotherapy practice. 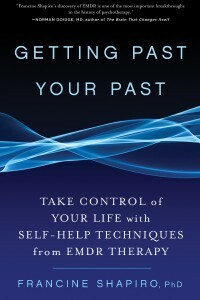 My EMDR training was conducted by the EMDR Institute, founded by Francine Shapiro. If you would like more information on EMDR, watch the video below and check out What is EMDR Therapy? I offer EMDR Intensives. A 50-minute individual psychotherapy session is often not adequate enough to allow the brain to go into the free associated state that EMDR facilitates to bring relief and change to an unprocessed memory and emotional disturbance that one may be feeling as a result. My EMDR Intensives also allow the opportunity to progress through the target memory sequence of EMDR in a more succinct and focused process. Contact me to inquire about availability and fees of the EMDR Intensives I offer.